HÀ NỘI — Việt Nam’s national futsal team tied with Thai Port 1-1 in their first friendly match in Thailand on Monday. 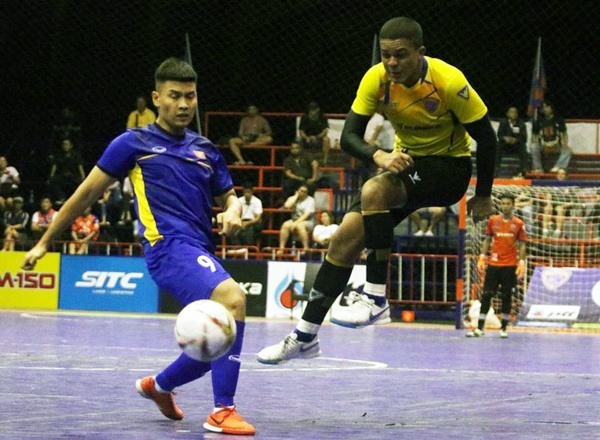 The match was part of Việt Nam’s training to prepare for the ASEAN Football Federation (AFF) Futsal Championship 2019, scheduled to take place in HCM City from October 21-27 next year. Việt Nam dominated the game but were unable to break the Thai Port defence and conceded a goal in the 36th minute. The equaliser came with just 15 seconds to go. Việt Nam will next meet D.Highway of the Thai League on Friday.